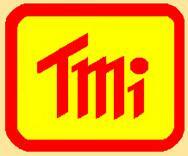 Green Hybrid Generator Powered Instruments | T.M.I. 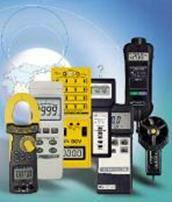 Professional pH/mV Meter, 0 to 14 pH x 0.01 pH,-1000 mV to 1000 mV, for use with ORP probes. Combo 4 in 1 Meter. Anemometer, %RH, Temp, Light. The above instruments use alternative power and thus this thread for general information.. Alternative power generators produce electricity from renewable energy sources such as wind, flowing water, solar energy and biomass. They are used for residential power, portable power, lighting, and communications applications. Alternative power generators use green energy from renewable sources. They cause less environmental degradation and pollution than products that use fossil fuels such as coal, diesel, and gasoline. Alternative power generators are used with solar power panels, solar water pumps, and complete solar power systems. They are also used with wind turbines, micro hydro generators, and complete wind power systems. Biomass includes wood and wood waste, fast-growing trees and plants, and agricultural crops and wastes. Alternative power generators that use other sources of green energy are also available. Wind power systems convert the kinetic energy from wind into mechanical energy. When used with a wind power generator, the rotation of the wind turbine’s blades turns a shaft to produce electricity. Specifications for wind power generators include blade material, rotor diameter, unit weight, start-up wind speed, voltage, wattage, and mounting style. Wind generator blades are often made of carbon-reinforced thermoplastic, injection-molded polycarbonate, or fiberglass. Rotor diameter is measured in inches (in) or meters (m). Weight is specified in pounds (lbs) or kilograms (kg). Product specifications for wind power generators include rated output, rated wind speed, rated rotation, cut-in speed, percent rated output, airfoil type, lateral type, and governor speed. Some wind-based alternative power generators are designed for rooftop mounting. Others require a tower and can be used in conjunction with photovoltaic modules (PV). Hydropower systems convert water pressure into mechanical energy. When used with a water power generator, the movement of the turbine’s runners or propellers turns a shaft to produce electricity. There are three basic types of hydro turbines: impulse, reaction, and submersible propeller. All produce clean energy or green energy - power from renewable resources. Specifications for water power generators include volts, watts, phase, per minute (RPM), length, height, and weight. Micro hydro generators are alternative power generators that produce electricity from fast-running streams without turbines, dams, or pipes. They are designed or residential use and can withstand cold-weather environments. Solar power generators are alternative power generators that convert light from the sun into electricity. There are many different types of photovoltaic (PV) and solar power supplies. Examples include solar batteries, solar battery chargers, and solar panels. A solar battery is a sealed, maintenance-free device. A solar battery charger can be used to power devices such as radio receivers, lighting, and radio modems. A solar panel is a device that converts energy from the sun into usable forms, either by absorbing the sun’s heat directly, or by converting its light into electricity. A photovoltaic system or PV system may include a battery backup or uninterruptible power supply (UPS) that can operate selected circuits for hours or even days. PV and solar power supplies include products such as solar arrays and are used with alternative power generators. Smart Multimeter. 6000 count. Hand operated generator power. Auto Polarity switching. Auto AC/ DC Volt selection. Capacitance and Frequency also.